A major ice storm is preparing to roll through Oklahoma, and with the panicked run on bread and milk, along come the closings. Schools, churches, day cares, non-essential services… and the archery ranges, coaching appointments and JOAD team sessions. 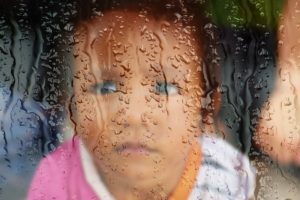 Unless you are blessed with an acreage with a covered plaza, or extremely strong fences and tolerant neighbors, shooting in the yard is out of the question. Assuming a tolerant spouse, partner, or parent, just about any room can be used for impromptu archery sessions. If you happen to have an 18 meter hallway, you’re all set for a regulation range! But even a small room can be converted to archery use, provided you make a few adjustments to your goals and surroundings. When shooting at close range, don’t use a regular target, unless you like destroying your arrows a la Robin Hood. Instead, consider blank-bale training, shooting at a blank surface and concentrating on your form – T-alignment, bow grip, anchor point, back tension, proper release and follow-through. If actual shooting isn’t practical, or you lack the necessary tolerance from your housemates, you could do some draw-and-letdown drills. With an arrow nocked (never draw a bow without first nocking an arrow) come to full draw, anchor and hold for a bit, and then safely let down. For compound bow shooters, consider using a no-shoot or safety release, such as the TruFire Draw Check Tool. Whether shooting or drawing inside the home, Safety First is the order of the day! Never forget that you are handling something that can seriously injure others if used improperly. Stretch bands and stretch tubing can be used to simulate the draw and load of a light bow. Heavier bands, or multiple bands used together, can provide higher drawing and hold weights. Simply tied the band or tube into a loop, hold the loop in your bow hand, and draw on the other end with your drawing hand or release aid. 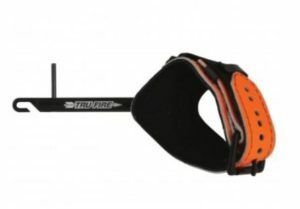 For release-aid shooters, it may help to install a D-loop on the stretch band. Stretch band archery has the advantage of portability and convenience. You can carry and use them just about anywhere! Depending on your surroundings, you may get some odd looks, but your inner archer doesn’t worry about what others might think! Along with stretch band exercises, there are a variety of exercises that can be used to grow and stimulate your archery-specific muscles. Push-ups and pull-ups are natural complements to good archery form. 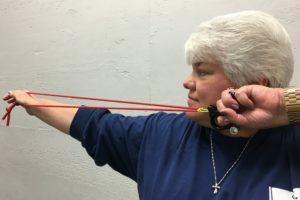 Recently, an excellent article on archery exercises was written by Crystal Gauvin, an elite Team USA archer with both national and international rankings. Not only does she perform these exercises, but she teaches them to her own students. You can read the article at her website. Tuckered out from all this physical activity? 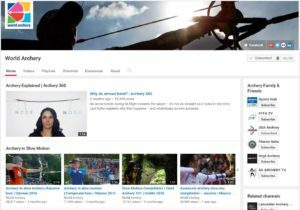 If you’re feeling inclined to couch-surf the TV, consider watching the World Archery Channel on YouTube. World Archery is the governing body of international archery competition for both recurve and compound disciplines. 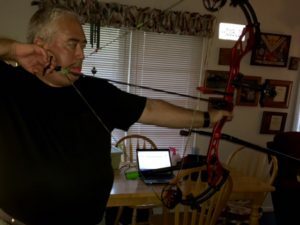 As fitting to their stature, World Archery provides top-notch video offerings on many archery topics, including articles on technique and equipment, interviews with top archers and coaches, and coverage of major competitions. The competition coverage is especially well-done. Produced in a slick and polished format, the medal rounds are truly entertaining to watch. You can watch the best moments of the top archers in the sport, accompanied by expert commentary from sportscasters who understand the nuances of target archery. These videos are so well done, you’ll swear you are watching a major sporting event on ESPN!